Abstract : Access to water is one of the most pressing global issues of the twenty-first century, particularly when set against the background of a rapidly growing global population. 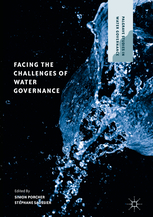 This book provides a cutting-edge, comprehensive overview of the challenges facing water governance and regulatory choices. The recently adopted Sustainable Development Goals set forward an ambitious agenda of providing universal access to good quality water supply and sanitation services within a financially constrained environment: however, the various peculiarities of each country regarding water governance makes it difficult to identify and implement the best practices and benchmarks. Drawing together empirical studies from countries around the world, the editors and contributors combine extensive data to review the individual challenges facing each country, from the supervision of autonomous regulatory bodies to the question of centralization and the influence of local utility companies. This pioneering and practical volume will be of interest and value not only to students and scholars of water governance, but also to practitioners and regulators.